Beatroot 5 of 6 quali went in and was hype! It was the first time we had a Sudden Death Tie. Every battle was super close and it could of gone either way. When all the digital dust settled, WELWING emerged as the winner. KOWAI KOWAI, took the battle to a tie breaker and came in a really close 2nd. 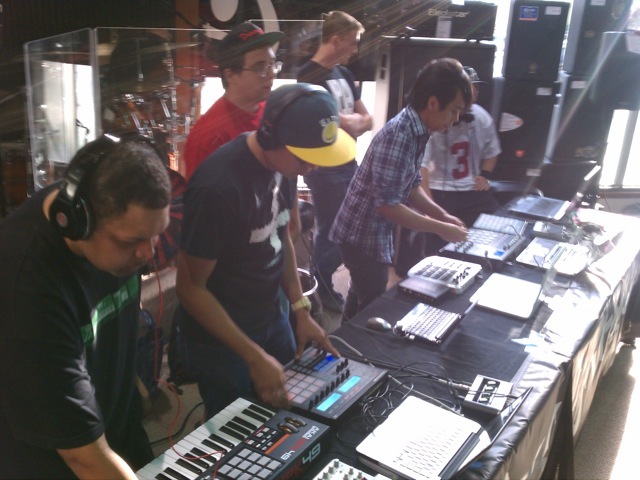 DJ JRAMA, STUDDERING STAN, WES BEATZ (with the you owe me money stare), KOWAI KOWAI, WELWING, & CODE-E-KEYS. Push button objects in full effect. Great to see machines at work. Need more stand alone hardware that would be sick! One of these buttons will destroy the earth, and one with bring daisies into your garden. Choose wisely! The light of God has touched the producers. But there can only be one like the Highlander. Christian the Lion, a dubstep producer out of Hawaii did a little showcase of some of his works. 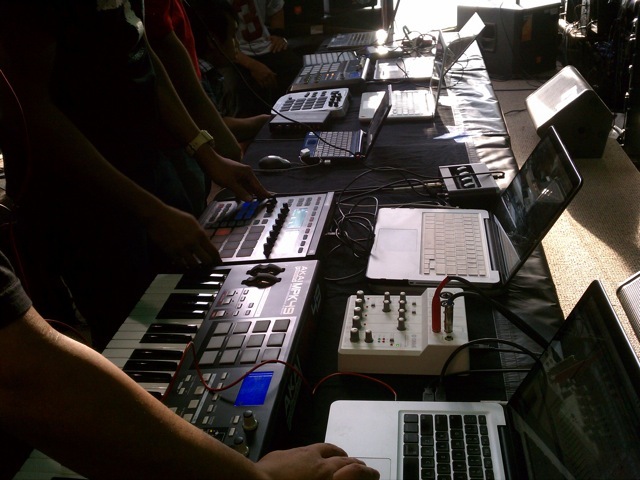 Its good hear and learn about different types of production music. Its about music, sweet good music. After a ill night great food is in order! 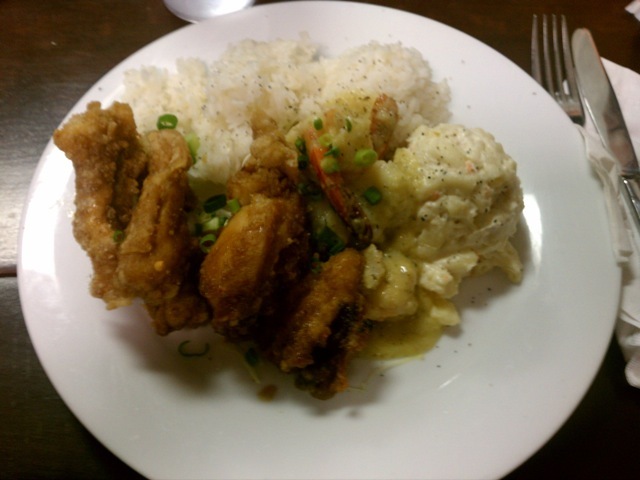 Aiea Bowl, Tasty Chicken x Garlic Shrimp. Broke the Mouth. 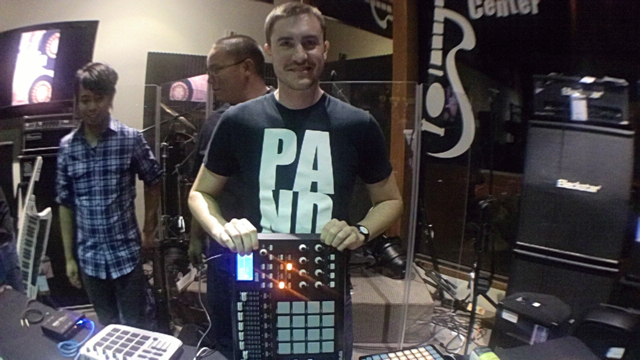 Thank you to all producers, the awesome crowds, and Easy Music Center. See you next month. Don’t Sleep.